The booklet carries 15 photographs of different places, groups of people, and individuals. 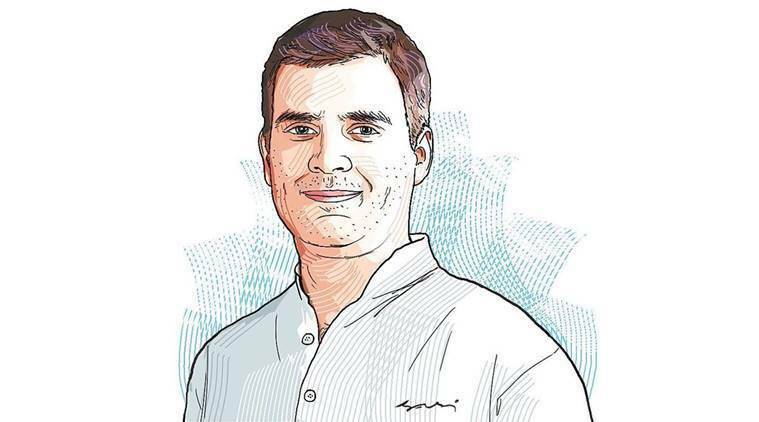 The photographs in the 54-page Congress manifesto for the Lok Sabha elections, released on Tuesday, give an indication of the ‘Rahul Gandhi era’ in the party. The booklet carries 15 photographs of different places, groups of people, and individuals. Party president Rahul Gandhi is the only Congress leader in seven of these photographs. Neither UPA chairperson Sonia Gandhi, nor former Prime Minister Manmohan Singh, party general secretary Priyanka Gandhi or any other senior party leader is present in any of these photographs. The National Health Authority has started brown bag meetings for its staff where an external expert comes and interacts over lunch — brought by each person for himself or herself. Former Union Secretary Anil Swarup was the first guest, where he talked mostly about his experience with the Rashtriya Swasthya Bima Yojana, a precursor to the PMJAY. The people of Manipur woke up to an announcement that caught them by surprise on Sunday. The Excise Commissioner has issued an order, directing that April 11 and 18, the days Manipur votes in the Lok Sabha polls, as well as May 23, the counting day, be declared dry days. Manipur, however, is a dry state. While the Excise order says that no liquor can be sold on these days, sale of liquor is by law banned in the state. While IMFL cannot be legally sold or consumed in the state, consumption of locally brewed wine and beer made by the indigenous population is permitted. 3 Delhi Confidential: Waiting In Wings?